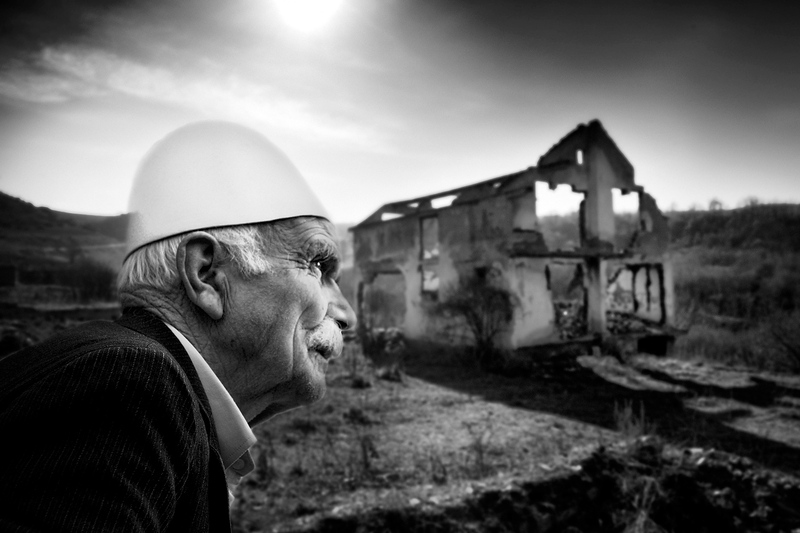 A elderly man walks past estroyed Serbian house in village of Dollc, which used to be inhabitated by minority Serbs. After the NATO forces enterd Kosovo in 1999, and Serbian forces redrawal, tens of thousads minority Serbs decided to flee Kosovo in fear of revenge by Kosovar Albanians. With proclamation of Kosovo as an independend state, which Serbia strongly opposes, villingness of minority Serbs to integrate and co-exisit with majority Albanians is fragile.